Public Testing using the updated TOEIC® Test is conducted around New Zealand on the dates listed below. Please contact the centre directly using the link provided. If you have ANY problems, please contact us on 0800 42 4855 or toeic@pro-match.com. 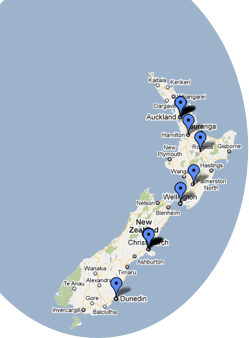 ETS is using the updated TOEIC Test globally, including in New Zealand. This new form was first used in Japan and Korea in 2017 Learn more! Every test taker should read the Examinee Handbook. See our preparation page for online learning, sample tests, and other options. The following test centres test on every public date, unless otherwise noted. If required, more centres are available for testing, please contact us for details.